An Autore south sea pearl strand necklace. 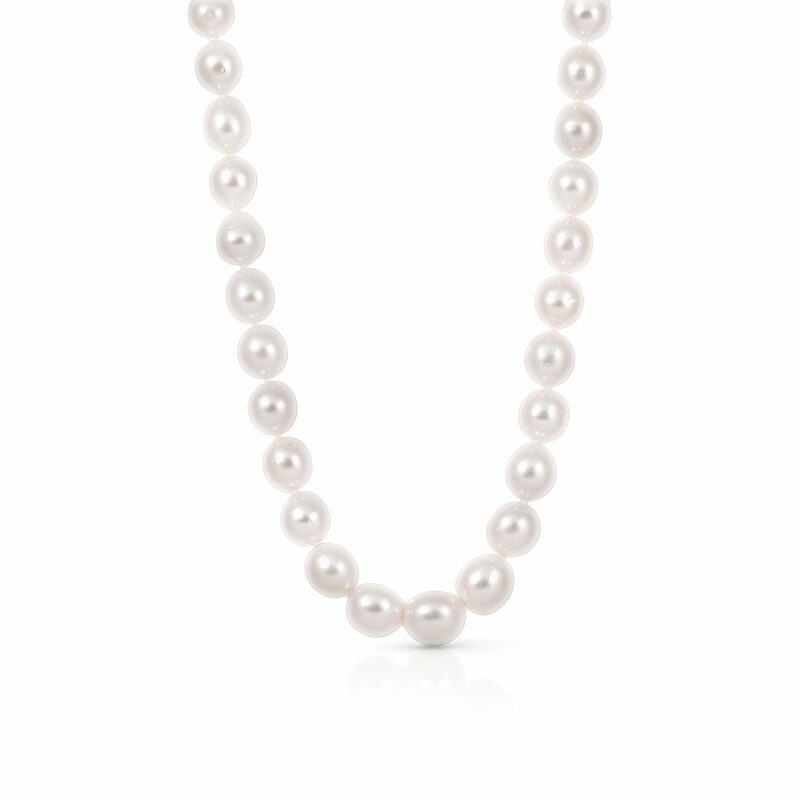 The necklace is made up of 41, oval shaped South Sea pearls, measuring 8mm and is fitted with an 18K white gold clasp. Autore have graded the pearl lustre as excellent.